Product prices and availability are accurate as of 2019-04-09 05:29:18 GMT and are subject to change. Any price and availability information displayed on http://www.amazon.com/ at the time of purchase will apply to the purchase of this product. 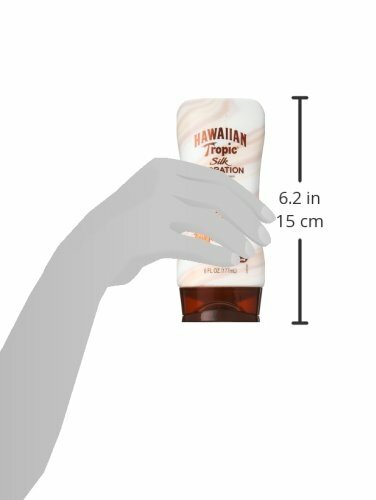 HAWAIIAN Tropic sun protection SPF 30 with hydrating ribbons instilled with silk protein and shea butter provides continuous moisture. Luxurious hydrating ribbons keep skin continuously hydrated. Light, tropical fragrance. Sun-sure formula that protects longer compared to common sun blocks. Light-weight feel. Protect, pamper, nurture for gorgeous radiant skin.